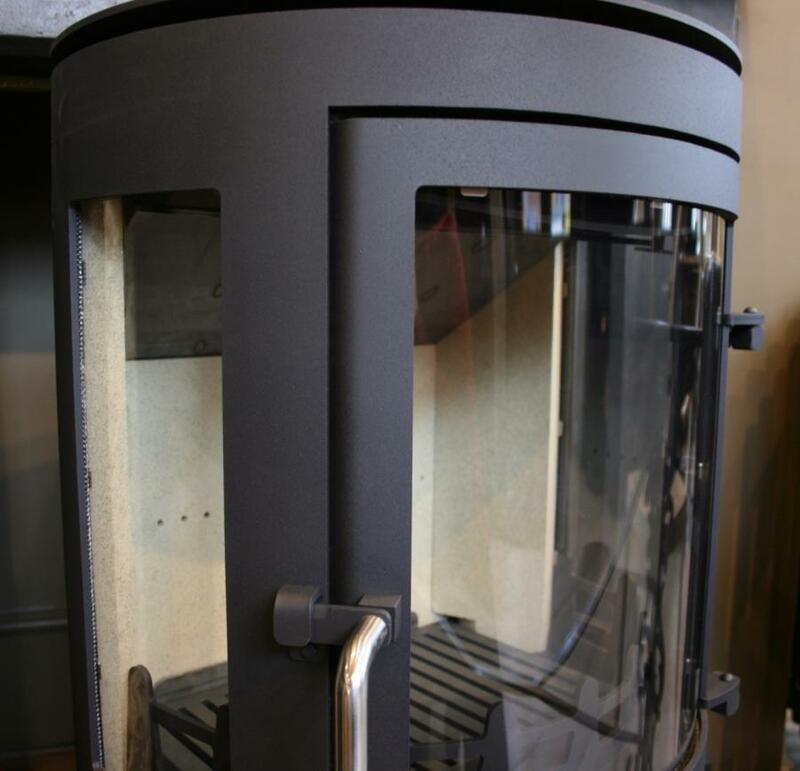 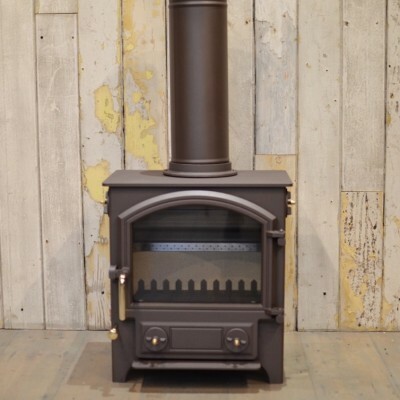 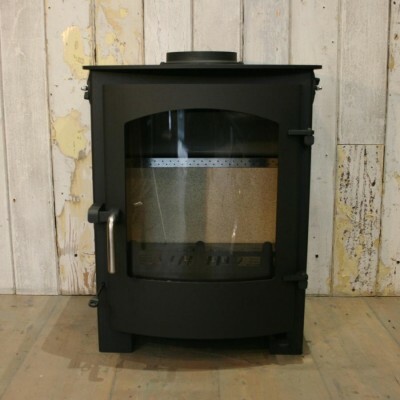 This 7.5kW output stove is Defra approved in smoke controlled areas. 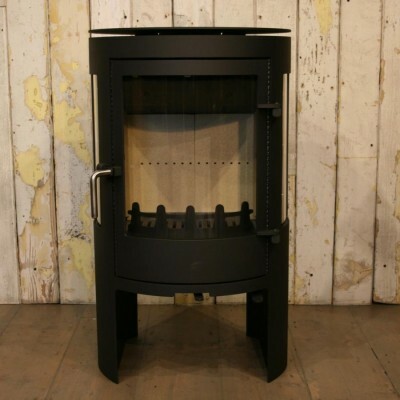 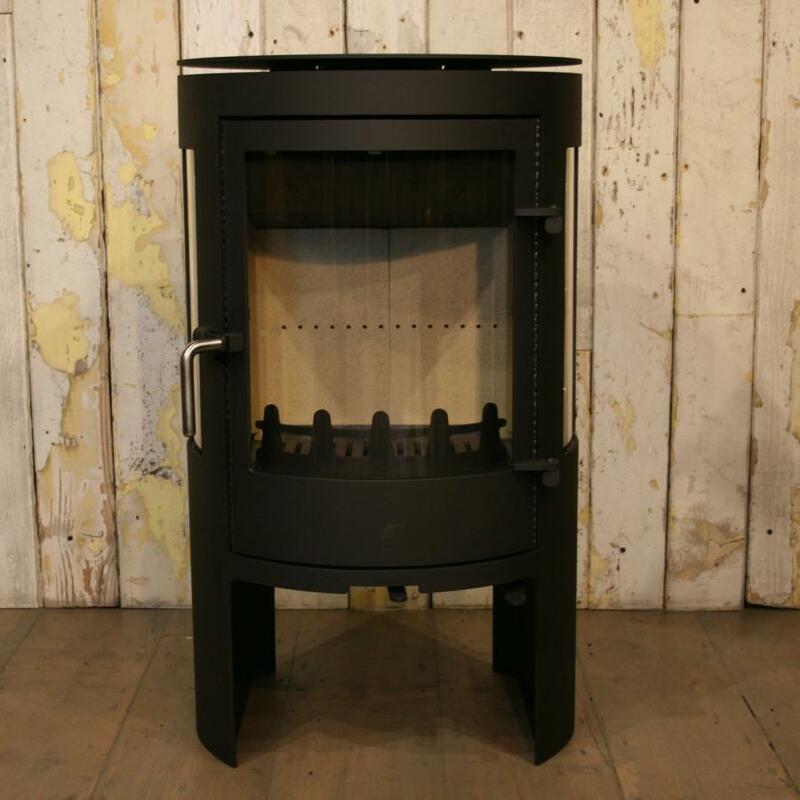 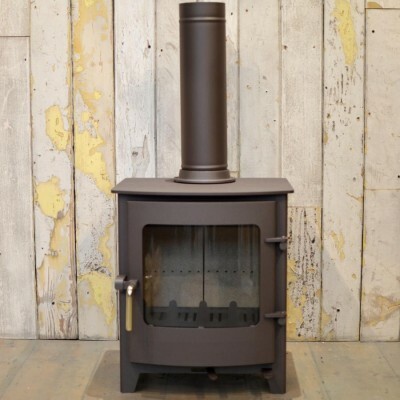 This British made stove is large in size and height, but with a curved modern design, lending itself to a more contemporary room set, however would still look at home in a traditional inglenook. 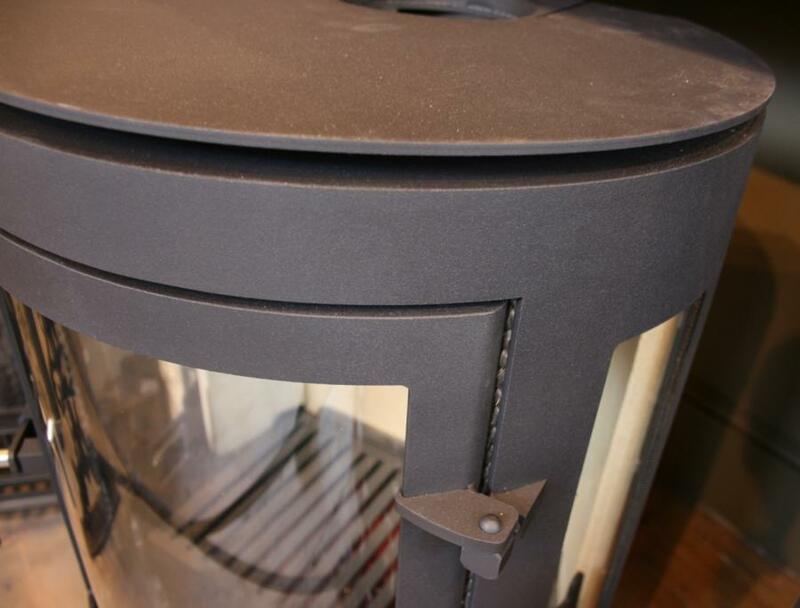 When lit, the fire can be seen from three sides making it a beautiful addition to any home. 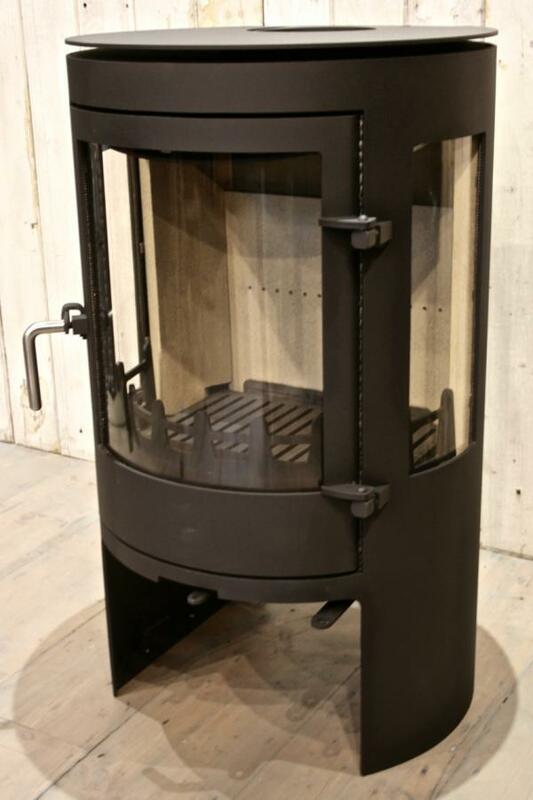 This stove is also multi-fuel, offering flexibility with what you decide to burn, offering up to 80.9% efficiency.